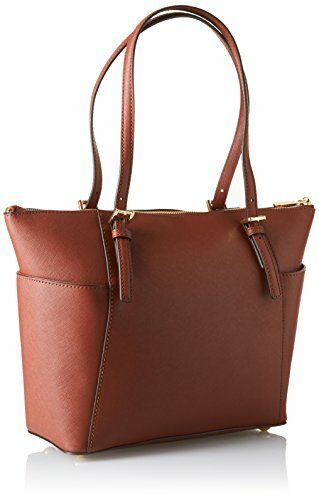 You can carry all your essentials everywhere you go with the 30F2GTTT8L 230 Jet Set Top Zip Saffiano Tote Bag for Women. 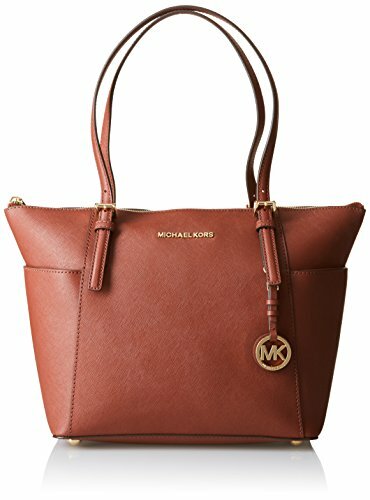 This tote is made using the finest quality leather from Michael Kors and provides ample space to keep anything you require in it. Sturdy and durable, it is the perfect companion for that hectic lifestyle. The bag looks very stylish with a top zip that keeps all your belongings intact. The external slip pockets on both sides are handy when it comes to storing spare change or other small objects. The bag also has a surplus of inner pockets that make organizing your possessions easier. The bag's straps can be removed or adjusted to suit your needs. It is a classic combination of sophistication and convenience.